We have them all over Sydney, too - Farmers' Markets. These daffys look top quality. As it is said, that there can't be anything like dark yellow, this surely looks bright and light, peaceful indeed. Please have a good Wednesday. Daffodils just exude happiness and you've catched that. Which markets are these? What a lovely sea of Yellow! Haven't seen these in months. I rarely see market stalls just selling one item. 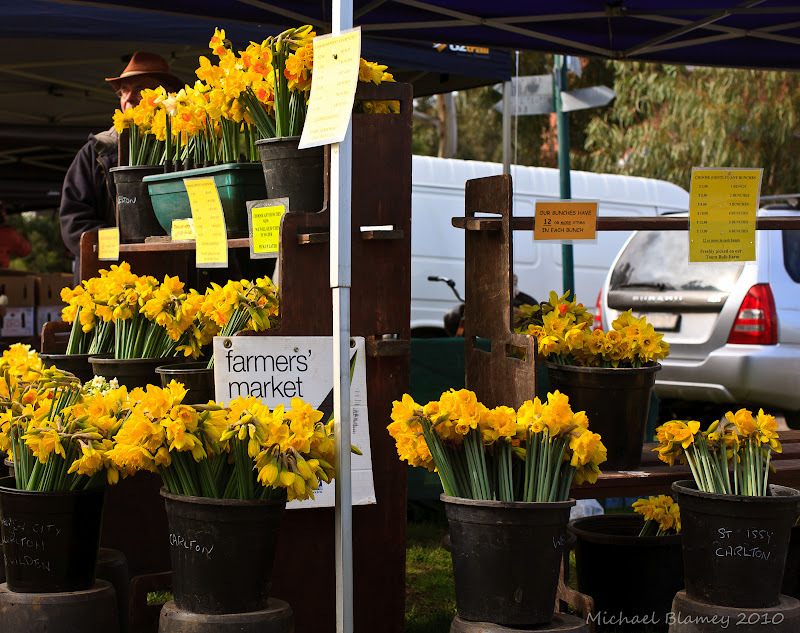 These yellow daffodils make for such a bright and cheerful scene! Where did those horrible Google ads come from! Wonderful colour! Isn't spring wonderful?